The project partnership will focus on the development of MS-based multiple reaction monitoring method(s) for the simultaneous detection and quantification analysis of six foods causing IgE-mediated food allergies which are included on Annex II of the FIR, namely milk (as cow’s milk), egg (as hen’s egg), soybean, peanut, hazelnut and almond. Reference and quality control materials already available together with incurred matrices used in nationally funded projects (iFAAM, MANOE, Allersens, MoniQA and LGC Standards) will be complemented by two incurred matrices prepared for the project including a chocolate based product (chocolate bar or chocolate muffin), and a powdered soup. These will be used to develop the methods, which will be founded on published data together with advances made through the iFAAM and Allersens projects. 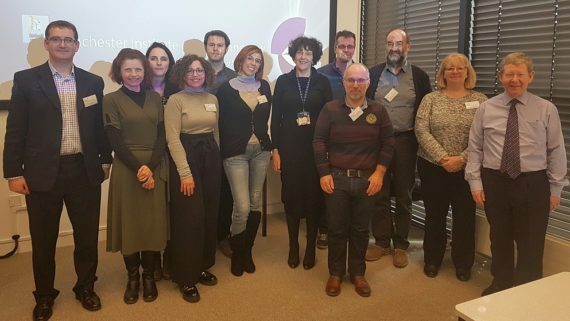 Starting from this background, we will take this knowledge forward to develop a harmonised quantitative MS-based prototype reference method for the detection of multiple food allergens in standardised incurred food matrices. The matrices will include reference and/or quality control materials already available and produce additional complementary materials in a food pilot plant thus mimicking, as far as possible “real world” manufactured foods. Building on clinical best-practice for undertaking double blind placebo controlled food challenges (DBPCFC) from the PRACTALL group and drawing on tools and approaches arising from the EuroPrevall and iFAAM projects we will provide a tool box to support generation of good quality data on MED’s from low-dose oral food challenges undertaken in food allergic patients. Consensus approaches on quality assessment of data, including classification of reactive, tolerant and placebo reactive patients, evaluation of symptoms (objective, subjective, persistent subjective) to support consistent definition of lowest observed adverse effect levels in individual patients, including those experiencing transient reactions during challenges. Data from the literature, EU-funded projects such as iFAAM and EuroPrevall, and nationally-funded projects in France (such as MANOE) and the UK will be collated and reviewed using these criteria to provide “cleaned” analysis-ready data sets. The focus for this work will be on foods for which data gaps were identified by the iFAAM notably tree-nuts (walnut, cashew, pistachio, almond, macadamia nut, fish, crustacean and molluscan shell fish) although other foods listed on Annex II of the FIR, such as soybean and wheat, will also be collected. Where sufficient data are collected dose distributions will be modelled using interval censoring survival analysis to calculate MED’s. Detection and quantification of allergens in foods and minimum eliciting doses in food allergic individuals (ThRAll) by E. N. Clare Mills, Karine Adel-Patient, Hervé Bernard, Marc De Loose, Nathalie Gillard, Anne- Catherine Huet, Collette Larré, Chiara Nitride, Rosa Pilolli, Olivier Tranquet, Christof Van Pouke, and Linda Monaci special issue of JAOAC, in press.